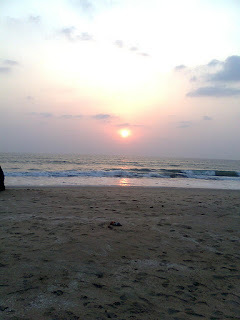 Spent a few months after my graduation in Goa before moving to my native for few months. Having lived in Hyderabad for two years now moved to another Southern state of India Tamil Nadu. Started writing as a hobby, recently started this blog. I like to write on both technical and non-technical things. Purposefully avoiding core technical things in the blogs as blogosphere is full of it. I love nature and also like to observe and write the things happening in the surroundings. I also love to travel and see the places. In search of name for the blog title finally selected the name ‘Technophilo’ meaning ‘A Techno’s Philosophy’. The adjacent sunset picture was captured at Baada beach near to Kumta.